Home is our sacred place of rest, relaxation, and peaceful-ness. Existing on many planes ~ in our hearts, as daily living space, our Beloved planet Earth, as well as Source-God-Creator ~ home is wherever we are. 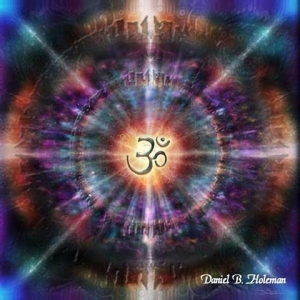 At the heart of H(OM)E is OM, the universal sound of Gratitude. Expressed by toning (sounding), a state of peace is achieved as One let's go ... releasing all distraction and illusion of separation. By expressing our Gratitude (OM), we create peace at home - near and far, within and without - for all to live and love as One. "Hey Love, I'm coming H(OM)E!" Let's call our soldiers home - the splintered aspects of ourselves enlisted to guard and protect our delicate nature, sacred space and sovereign rights as Divine beings. With our hearts, send forth a prayer of peace: "Our time of forgetting is passed, and we remember all as One." It is time to lay down our defenses, to declare peace in our hearts, and it will be so in our Lands, as well. The universal sound of attraction is Ah (as in God, Allah, Jehovah). The universal sound of gratitude is Om. These sounds are sung on one note (this is also called "toning"). Technically speaking, Ah is sung for 20 minutes in the morning and Om for 20 minutes in the evening (the most powerful times being sunrise and sunset) and right before bed sing "shalom" which is the combination of the two. However, any amount of time toning is great, and you can even do this in the car while commuting. A clear intention is all that is required. My favorite way to meditate is lying down, and if I fall asleep, it's all that much better! For those (k)new to toning with OM, here is a great introduction and guide. enjoy! The wonderful thing about all this information is that we know it all, and sometimes forget--and then get to remember again. What a wonderful gift....and a surprise, and what joy we feel everytime we get to remember! Life if good, and filled with abundance.